The days of trialing lipstick colours on a disembodied head are long gone. Thanks to the invent of the iPad, girls can now hone their eye shadow application skills using virtual make up and a digital mirror. 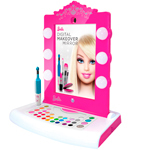 Mattel’s cutting-edge contribution to kids’ cosmetics allows budding beauticians to use their own face as a model, with facial tracking technology keeping the digitised make-up in place as they move. 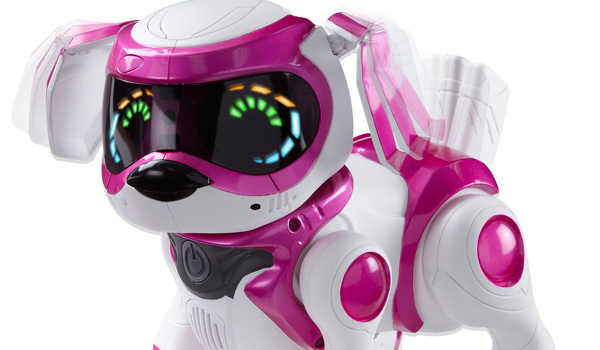 Following in Furby’s footsteps, Cupets are the latest in a litter of products that blend smart devices and toys. 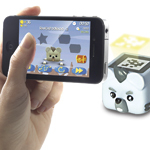 A free downloadable app enables owners to care, feed and play a series of games with their cube-shaped pets, which are being pitched as “the ultimate pocket-money playground friend”. Providing pet ownership without the need for a pooper scooper, Teksta responds to voices, physical gestures, lights, sounds and app commands. 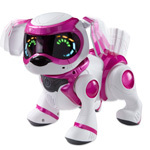 The robotic canine barks, cries and whines and knows when it is being pet, fed, talked to and played with. Diamonds may be a girl’s best friend but necklaces, bracelets and earrings made from macramé knotting and beads are attractive acquaintances. The Shamballa Fire Jewellery kit has enough glittery beads and components to make up to five sparking pieces and includes a plastic storage box to keep projects safe. Having been a huge hit with families in the 1960s and enjoyed revivals in both the 70s and 90s, Troll dolls are back and out to win the hearts of a new generation of fans. 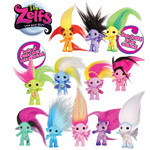 Rebranded as Zelfs, reportedly to avoid any association with internet bullies, the shock-haired collectables come with styling accessories to keep their locks in line and a wearable charm.